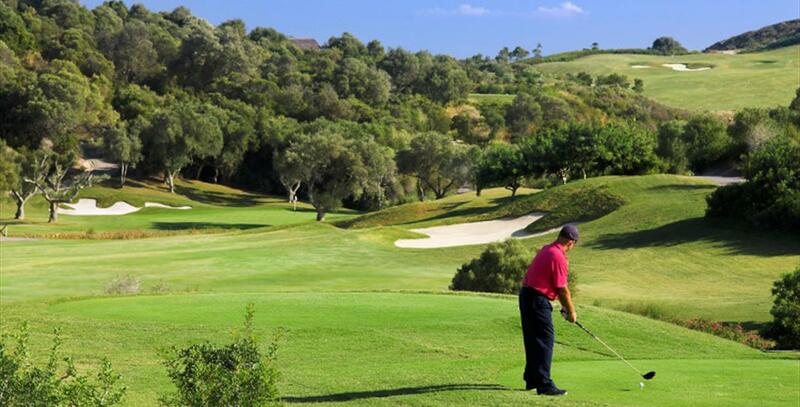 18 holes championship golf course Designed by World famous golf course architect Mr. Cabell Robinson who worked many years for the Robert Trent Jones Group; The Finca Cortesín layout is simply spectacular, the main features are the length of the course (6,808 mts.) 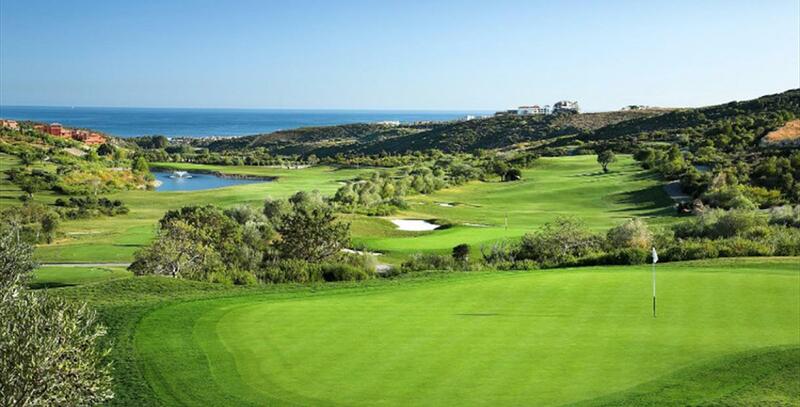 and the great variety of its natural vegetation which includes olive trees and corks. The 18 holes are very unique since every hole is completely different to the others making the game more enjoyable. Technically speaking, it is important to emphasize the following features: the Bermuda 419 Grass fairways are very wide (up to 50 mts. ), the bunkers are beautifully shaped and filled with white silica sand. Tee boxes are very high quality (every hole has several tee platforms so the player always finds them in perfect shape). Without doubt, the greens are one of Finca Cortesín jewels, they all have slight brakes and have the quality to be extremely fast. Driving range Located next to the club house has two levels for training: one with natural grass (Bermuda 419) and the other with artificial grass mats (20 bays). 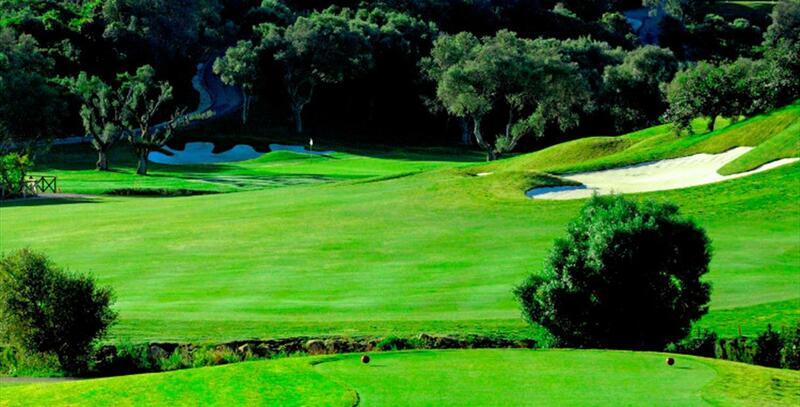 The range has four greens situated at different distances to practice all kinds of shots. The orientation of the practice area is south-west to avoid hitting into the sun at anytime of the day. 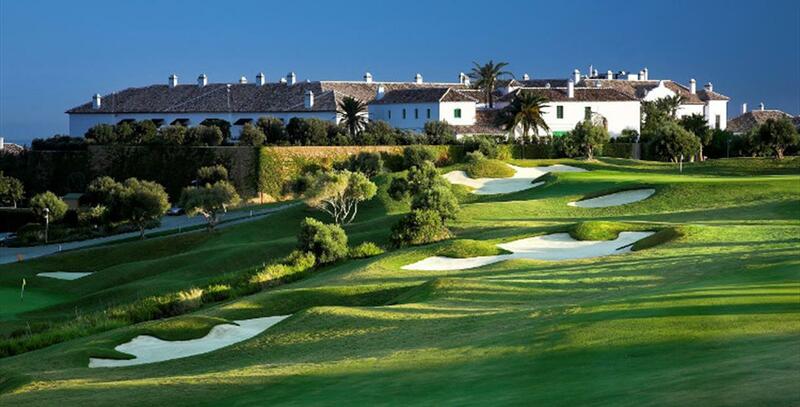 Jack Nicklaus Golf Academy The Finca Cortesin Golf School has the master-franchise for the teaching system designed by the best player of all time. It has a coaching studio with the latest technology and reserved for monitored swing analysis. Club-House Secured parking, restaurant, members" area, pro-shop with the best brands in clothing and clubs and high quality locker rooms. Club House restaurant has the signature of acclaimed Dutch Chef Schilo Van Coevorden.